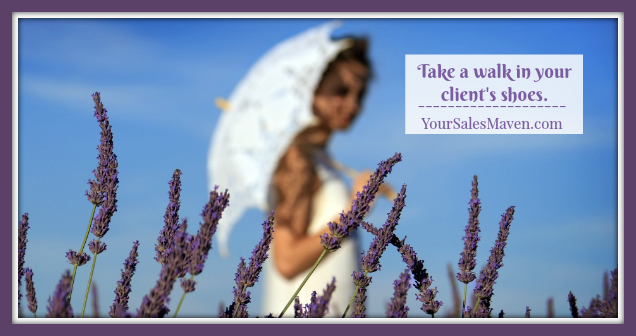 When’s the last time you were frustrated because your ideal client wasn’t buying from you? Maybe you’ve spent a lot of time and money mapping out who your ideal client. Yet, that type of client still isn’t showing up and buying. There’s a simple, yet crucial step many people miss when identifying their ideal client. The missing step is definitely contributing to why these clients not buying from you. The step is actually a question. It’s a question many people forget to ask themselves. It’s also a question that can be uncomfortable to give an honest and unbiased answer too. For those of you who are uncomfortable with self-evaluation, you may want to stop reading now. Once you read the question, it will be hard to ignore applying it to your business going forward. For those of you willing to ponder and answer the question truthfully, you’ll likely gain invaluable insight into your business. The answer very well be a turning point in how you show up online and in-person. Here’s the question to ask yourself, “Am I the person my ideal client wants to buy from?” To take it a little deeper, do you have the qualities and expertise that attract your ideal client? Do you speak the language of your ideal client? Is your personality appealing to your ideal client? We all know that people prefer to do business with those they know, like, and trust. Therefore, when identifying your ideal client, it must be someone that would choose you over your competitors. When I work with my VIP clients I actually give them an assignment of identifying their ideal client. Part of the exercise is to imagine being in the shoes of this client and making a list of qualities the ideal client is looking for in a coach/real estate agent/(insert your title here). They then have to take a look at the list and see what qualities they actually possess and what qualities they are missing. This list can be beneficial in many ways. First, it helps you know what phrasing/words to use in your marketing. It also reminds you of what types of things you need to say and do when meeting with prospects. It really boils down to ensuring that you’re meeting the criteria of your ideal client. Take a few moments and make a list of what qualities your ideal client is looking for when hiring someone to do what you do. Review the list and decide what needs to change in order for you to attract the right clients. You might also work with a trusted coach/colleague to help uncover some of your blind spots when answering this question. We all have blind spots and need a little outside perspective. For those wanting some support on this process, please connect with me as I’m happy to hear from you: http://www.meetme.so/SalesMaven.